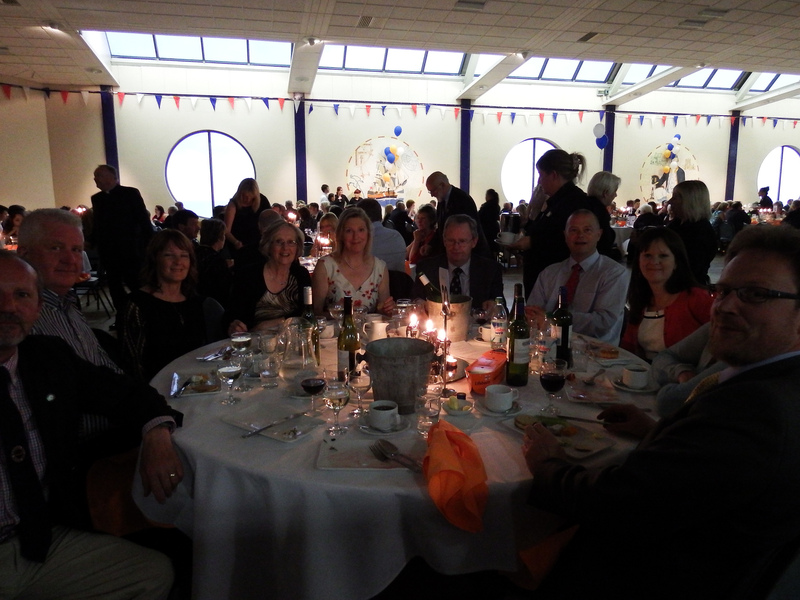 Nick and Christine Scaife’s annual music spectacular, just one of a number of events they run each year for RBRB, has again been a resounding success. 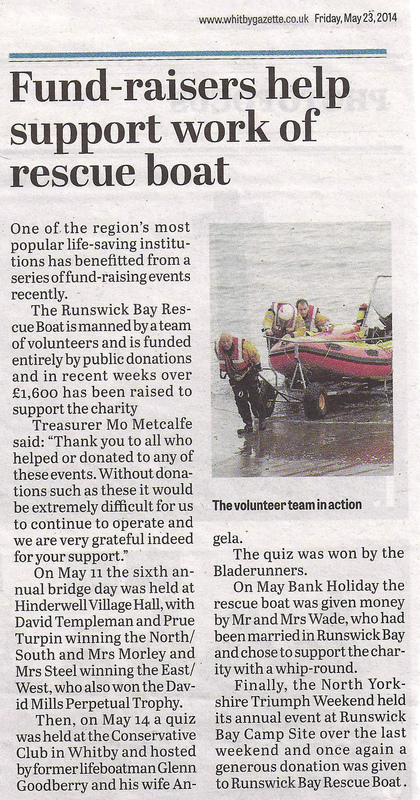 A terrific £820 was raised at the Friendship Rowing Club and at other venues around Whitby with the help of the Whitby International Pirates. 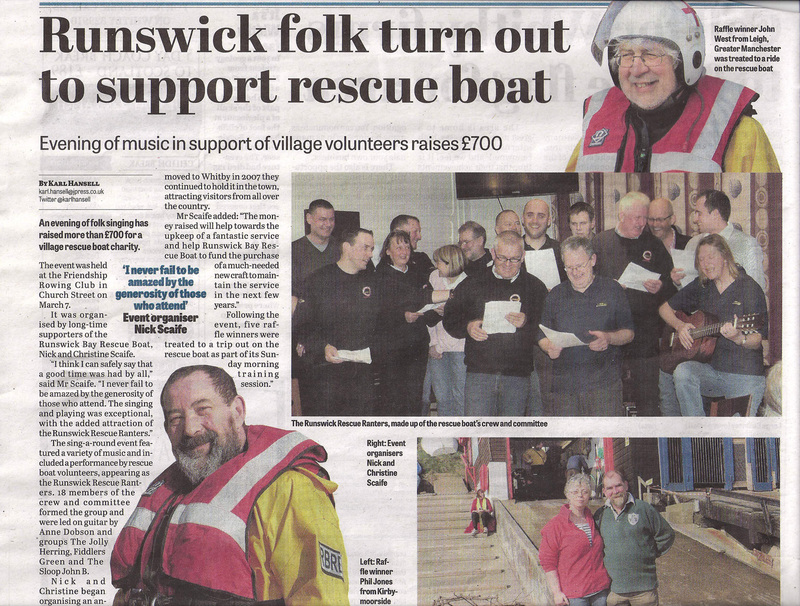 There was a nice write up in the Whitby Gazette (left). The Whitby Gazette ran a supplement on Friday entitled “We Love the Emergency Services” and very kindly split the advertising revenue gained from the supplement between all the local emergency services. 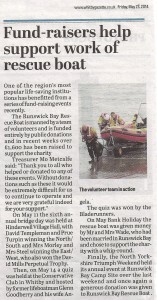 RBRB is proud to have featured and very grateful to the Whitby Gazette for their support. 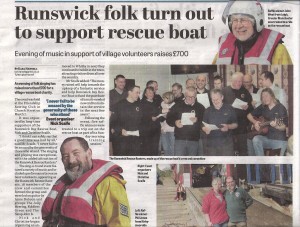 The services featured in the supplement included the local Police, Fire Brigades from Whitby, Goathland and Robin Hood’s Bay, the Ambulance Service, the RNLI from both Whitby and Staithes & Runswick, the local Coastguard teams, Scarborough and Ryedale Mountain Rescue Team, the ‘Helicopter Heroes’ including the RAF from Leconfield and the Great North and Yorkshire Air Ambulances and of course RBRB. A copy of the RBRB section of the feature is included as a link from the picture on the left, just in case you missed the original. 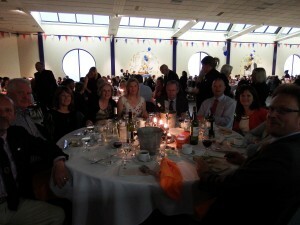 Here at the Rescue Boat we are gearing up for the 2012 season which will start in earnest from 6th April 2012 (Easter). There has been a huge amount of work done throughout the winter and there will be some very visible new additions in the 2012 season (both kit and faces) and some new technology. We are very much looking forward to showing our supporters how we continue to adapt.